Does Firefly 2 Give Good Vapor? Firefly 2 vaporizer is created for vapers who really love the herb and dynamic technology. It delivers exceptional flavor and it doesn’t waste your plants or concentrates. What’s more, you can clean it easily and enjoy the best vaping experience ever. This powerful vape has been on the market for the last few years and has managed to outdo the competition. It has a light design thanks to the materials used- magnesium and a magnetic lid. In addition, it is touch-sensitive and comes with wax atomizer capabilities plus other dynamic amenities. Its glass airway path is made of borosilicate glass allows passage of a vapor you really want to taste. There is a Bluetooth feature which is controlled by a smartphone app. There is no perfect vaporizer in the market because vapers will always find the negative and positive sides of their favorite vaporizers. The good side of Firefly 2 is the varied capabilities it offers. You can use it with concentrates, wax, oils, or dry herbs. Thanks to its stainless steel pad, you can vape a broad spectrum of concentrates and oils. Then, it enables you to fine-tune temperatures so that you can maximize your vaping materials. 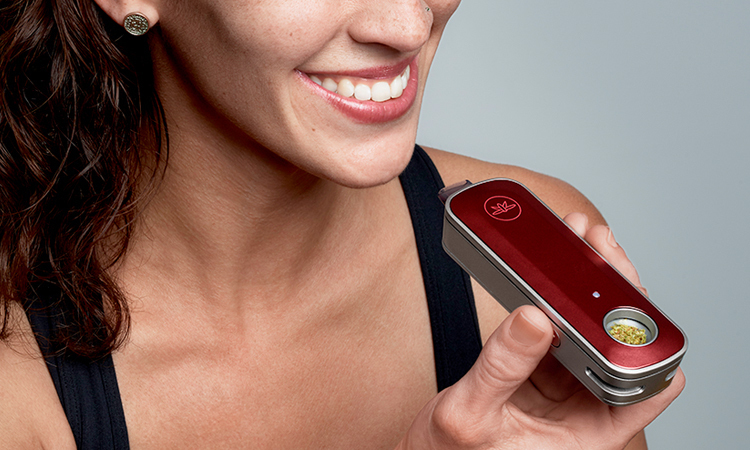 Whether you are a beginner or a seasoned vaper, rest assured you’ll enjoy this vaporizer. The Firefly 2 delivers topnotch vapor with its on-demand convection heating system in about 3 seconds. You don’t need to wait for the long heat-up times like in conventional vaporizers. Basically, you get your vapor as soon as the vaporizer releases it; and it continues throughout your vaping session. The vaporizer can heat up to 400⁰F within no time. All you need to do is choose a custom temperature using your smartphone app. You can also increase the temperature to 500⁰F if you are using concentrates. Choose a Firefly 2 vaporizer for sale today covered by 100% satisfaction guarantee.